Jacques Derrida: First of all, deconstruction is not a philosophy of history. I don't know if you're taking this expression literally, but it is not a philosophy, and then the concept of history is too problematic for me to say that deconstruction is a philosophy of history. It is not a philosophy of history. Your question was why I do not use the name Auschwitz? Were there other questions before? I could try to demonstrate, but once more I can't do it here, not under these conditions, that the concept of survival occupies an altogether particular place in my work. There is a text entitled Survivre, and in it I try to note that surviving is neither life nor death, and I demonstrate how a certain concept of survival resists, does not allow itself to be reduced to the opposition of life and death. And that the trace is always a survival, everything begins with survival, and thus, by the situation of inheritance and the relation to spectrality, the logic of the spectral which runs through all my work for at least twenty five years (in La Carte postale, Spectres de Marx (11) ), the logic of the spectral implies another relation to the spirit of which we spoke little earlier, in the sense of the specter as Geist and ghost. It is the question of a logic of the phantom, of inheritance and thus of survival - we are in the domain of survival. The element in which all this discourse is inscribed is the element of survival. 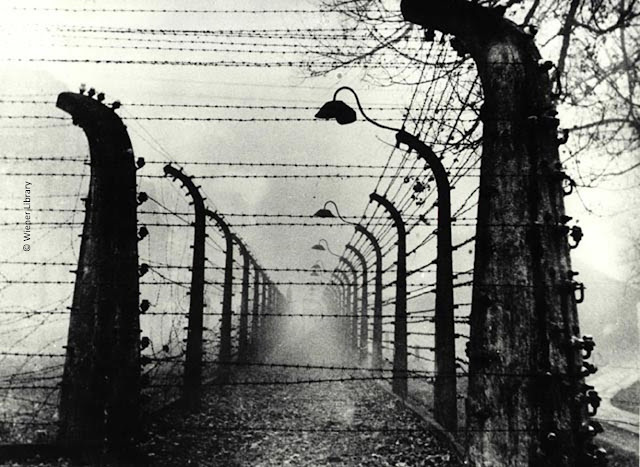 Obviously, one needn't necessarily have in mind the survivors of Auschwitz in order to think of survival. In principle, logically, this discourse I hold about survival does not require a reference to the Shoah. But one would have to be blind and deaf not to see and hear, that each time survivors are mentioned today, this is what one thinks of. And naturally, I don't think of it any less than anyone else. But at the same time I insist on referring by this word or by this logic of survival to Auschwitz, but not only to Auscwitz, that is true. I want to note that this discourse could have been held in the 19th century, or even if Auschwitz never happened. This, then, leads me to your question, why I did not name Auscwitz in this text (but I did name it elsewhere). It is because, as I've said in the beginning, I wouldn't like and I don't feel I have the right to give a single proper name to all genocide, to all possible extermination, even to the extermination of Jews under Nazism. Auschwitz, where I went a few weeks ago, Auschwitz is a place, it is terrible, Auschwitz, it is something monstrous, of course. But it was only, even during the experience of the extermination, a place among others. But why this metonymy? It is well known that when one says Auschwitz today, one doesn't think only of the town which still exists: there are still restaurants in Auschwitz, it is a very particular place. I don't feel I have the right, both for reasons of rhetorical rigor and by respect for the victims, to use the name Auschwitz to designate any place where similar things have happened. It is a word often abused. People often use this word as a banner, a label: "At least I uttered the word Auschwitz, I've done my duty, my conscience is clear." I resist this easiness. For me, it is both too difficult and too easy. I don't use this word except in a serious manner, when I think it is necessary.